This post was originally published on Medium and reposted here with the author’s permission. Why not head on over there and give them some ❤️? I should not need to tell you but, a couple of months ago you could buy the cryptocurrency Ether for $11, it rapidly went up to $43 (I bought in between those prices) and has now gone to over $335 as of June 2017. Those kinds of gains are nearly unbelievable to a traditional investor and yet these are across the board in this space. You made a ton of money on cryptocurrencies and have some concerns about shuffling it through your bank because of potential capital gains tax issues. There are places that have a solution for you if you want to be able to use this money for other investments. These places won’t make you photograph your license and send it in, just use an email and they provide you with a BTC deposit wallet, demo accounts, APIs, then when you are ready, you send money in and it’s ‘go time’, you can trade everything from treasury bonds to Forex using Cryptocurrencies as your base monetary instrument. But, you say, I am a coder who likes to automate things, surely we can fire up some BTCbot and we can have it just do the work for us, it will make us millions in our sleep, right? 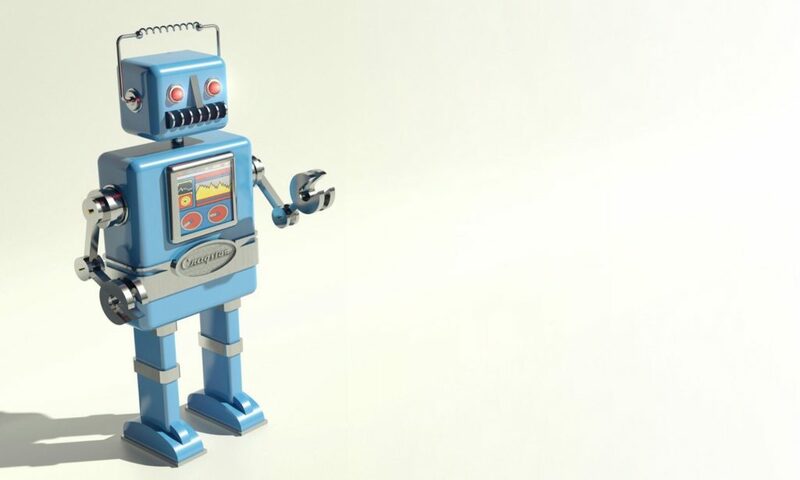 I don’t want to write a bot and publish it with a single strategy and just say “here, use this”, I don’t think that is helpful to anyone, I would rather give you the tools and show you how to write strategies yourself, show you how to set up data collection for the strategies and how to implement them in a trading system and see the results. Also, I don’t want to create this in a new or arcane language, I want this written in PHP which the biggest number of people are familiar with and in a framework (Laravel – here’s a great premium course for sale, and a bunch of free articles if you’re not familiar with it) that is simple to use but powerful enough to let you can create what you need. If you think PHP is just for web pages, read on, this should surprise you. I like to build systems. I have been working on this post for a while and it represents a good deal of non-derivative custom work. If you have read some of my other tutorials you know that I like to write tutorials that “I wish that I had found instead of having to to write”, so you are in for a thorough read, with a lot of copy-paste style recipes. Walk through the core parts of the system, see what is where. Install and configure the software we need. Account creation at the brokerages we will be using, setting up the API keys for the scripts. Set up websocket streams to get data. Finding strategies for our automated agents. Deep dive into Indicators and Candles available to us. Coding up our first agent. A few closing words about the risks you are taking. You can find the repository for the Bowhead boilerplate at it’s Github repository. It’s a full application already, but we’ll be using its functionality to get the stuff in this post done. It is recommended you use the extremely Laravel-friendly Homestead Improved Vagrant box for a good, isolated development environment you can get started with in under 5 minutes. If you’re unfamiliar with Vagrant, here’s an excellent re-introduction, and if you’d like to dig deeper, this premium book will teach you amazing things. Now let’s explain the the current folder structure of the app. This is where all our console commands are located. Is where all the utility classes that are available are found. Indicators.php – 21 TALib indicators and moving averages. Extras and some testing data, these scripts are SKLearn price forecasting scripts taken from a study on beer consumption I thought was really useful, these might be used for market price predictions. open_prediction.py – SKLearn script to predict an opening price – a python script in the root dir called ‘streaming.py’ which is part of the Oanda streaming command. If you execute php artisan, you should see something like the following, the part you are interested in is below. 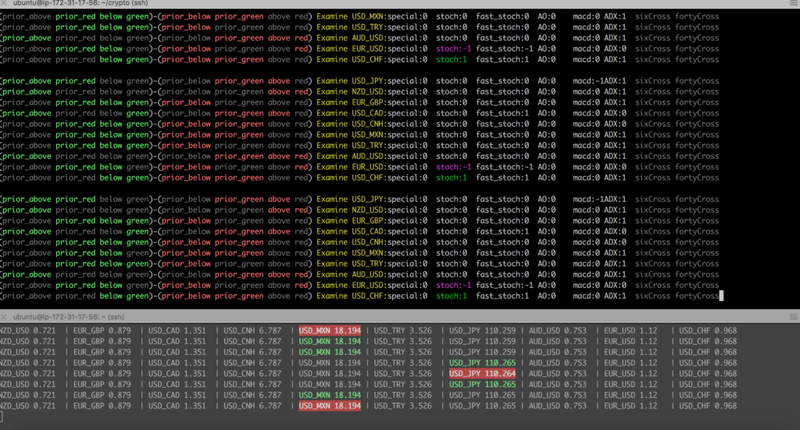 Redis really does not need any tweaking out of the box, it’s installed and ready if you’re using Homestead Improved. MySQL will need a database and a few tables. Change the credentials in the .env file (create it from .env.example if it doesn’t exist). Open up the database in a tool like Sequel Pro and you will the sample data in the bowhead_ohlc (open, high, low, close) table. Full disclosure: Where possible, I have set up bonuses for you on these links, all sites below offer free accounts which do not require ‘verification’ and do not require a deposit. The links are referral links which also bring me some perks if you sign up. 2) 1Broker the secondary site we want to trade on, they are similar to other BTC-based market makers and have a ‘trader follow’ system as well that is fairly interesting, particularly to get people following ‘you’. The API key is found on the right, just under the email icon, there is a small box with what looks like sliders on it, then click on Access & API Management. 3) Oanda is where we get our streaming Forex data, you need an account. API access is found here. 4) Coinbase/GDAX is what used to be called ‘Coinbase Exchange’ and is now called GDAX. I have been automated-trading there since they first opened. The API key is found at the far upper-right, then click on API and create your keys. 5) Bitfinex – you need an account here with an API key so we can get Cryptocurrency quotes. API keys are found under ‘Account’ then click on API. 6) Poloniex is like Bitfinex but supports many alt-coins. API keys are found under Settings – API Keys. 7) TradingView is not mandatory, but you will want an account there because all the indicators bowhead uses can be viewed on charts to help you build your strategies. The reasoning behind this combination is that the Whaleclub and 1Broker APIs are rate limited, WC only allows 60 requests per minute, if we want to make sure we have streaming real-time data to work with we need to stream from a BTC brokerage. Same with Forex. Definitely look around on these sites and see what they have to offer, I’ve been around the block with a lot of brokers and market maker sites and for BTC, these are all good as of June 2017. For Forex, Oanda is great, but for the purposes here of trading using BTC we just need their streaming Forex data. Once you get the API keys for these sites, you will want to put them in your .env file. NOTE: Start off by using DEMO/TEST API keys, DO NOT use real money API keys with untested trading scripts. Let’s test that we are set up right. Bowhead has a testing script to verify that everything is set up correctly and that you have the right API keys, PHP version and the Trader extension is correctly installed. This script will stop on any issues that you may have and provide commands to run to fix the issues or links to get API keys you might still need. We have two things we need to do for data here so we can create an automated trading system that can trade both Crypto and Forex pairs. We will be using this data to trade on BTC market maker sites in real time. Get streaming Forex data coming into our database from Oanda. Note: You should have the screen command installed on the server the app is running on. Screen is a terminal tool for detaching windows and keeping them running in the background. You can detach a screen, log off and come back and reattach to it from another location at another time. This is what the Forex streamer looks like if you turn the echo back on. 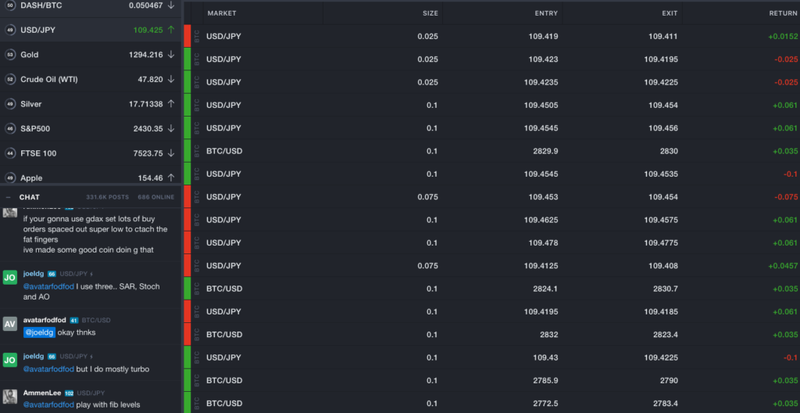 Now we have regular Forex data, lets add in the BTC/USD currency pair. Crypto markets are open 24/7 and you should begin to see current data flowing in immediately. The numbers on the left are the screen IDs so in this instance you can reattach to the latest (Bitfinex) screen by using the following command. We are only using screen for the purposes of this tutorial on a local machine, for a server environment we put these on supervisord to make sure they are always running on our server and if they die, then they are restarted. So, we have our boilerplate/framework set up. We have accounts and we have data flowing into our database. We also have our indicator/signals and candles working. Let’s jump in and see how to create a very simple strategy. Now that we see how we can use this, we need strategies and we need to know how to find more strategies. Quantopian is a great resource for strategies. For instance, two that I was recently looking at: “Stocks On The Move” and “Trading on multiple TA-Lib signals” are both interesting, however saying we use TALib methods in bowhead, lets go with the latter, additionally this will only be for BTC as Oanda does not return Volume with forex pairs. You will notice that this strategy uses three signals to determine if a stock (or in our case a pair) is overbought (sell) or underbought (buy). This is a simple technicals strategy where if all three of these indicators agree then we go the direction they say to go. Here is the core part of the strategy in code. NOTE: DO NOT RUN THIS ON YOUR LIVE ACCOUNT UNTIL YOU HAVE TESTED IT, USE YOUR DEMO API KEY TO START. The output will look like this! If you would like to see what these look like on a chart, then head over to TradingView and add the indicators. TradingView idea stream is another great place to find strategies and see what other people are doing and you can view the strategies in the source code section of of TradingView. 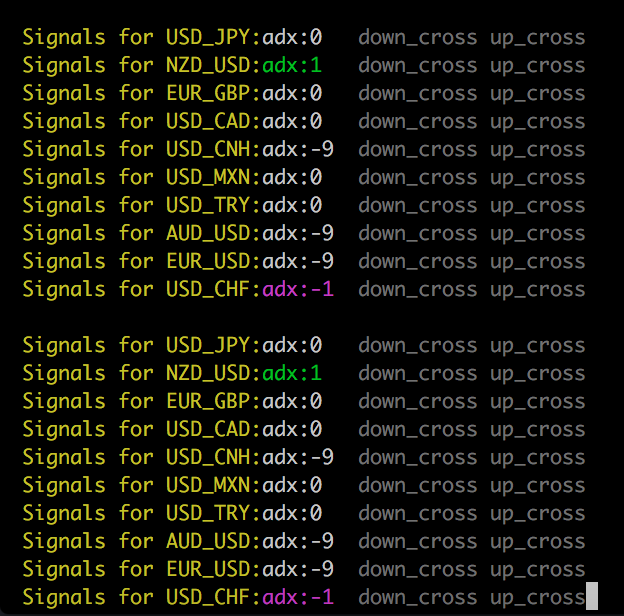 I provide two classes in bowhead for checking signals on data: Candles and Indicators. Each class has an all method which will run all the methods in its parent class over the data you provide. To keep things as simple as possible without sacrifice of functionality all methods in both of these libraries provide a return as -1, 0 or 1. Where ‘1’ will always be the buy or ‘bullish’ side and ‘-1’ will always be the sell or ‘bearish’ side, where applicable. There are a couple which return -100 and 100 as returns, please read the comments above each method and in each class for more info about abnormal return values as there are links to explain what they do and why we use them as well as what they represent and how you can use them in your scripts. Candles.php — the allCandles() method will check for the presence of 60 specific candles across your dataset. It returns a complex array which will even provide the data point location of the candle and data points around the candle. For purposes of automated scripting, the current array in the return is the candles that are currently active. Indicators.php —Provides multiple indicators over a dataset, these are all the common technical indicators such as Bollinger bands, RSI and many types of moving averages. These include overlap studies, momentum indicators, volume indicators and volatility indicators. There are no cycle indicators yet. The core methods are adx, aroonosc, cmo, sar, cci, mfi, obv, stoch, rsi, macd, bollingerBands, atr with MA methods of sma, ema, wma, dema, tema, trima, kama, mama, and t3 which can be combined using macdext() fairly dynamically. These two sets of indicators and candles can be combined in many different ways that have been noted in the comments at the top of each class. Combining MA cross overs with Bearish/Bullish candle patterns (which would not be apparent to a moving average), you can pinpoint your entries and exits much better. Packaging these trader methods in this way provides a lot of flexibility to you to be able to use them very easily and as you notice above, translating a strategy is very simple when you have only buy(1)/hold(0)/sell(-1) signals. So, lets do another quick script that will showcase what we do, this time lets do a Forex bot that trades all the pairs on WC, and it will use the following technical strategy. Two simple moving averages, on period 6 and period 40. Period 6 SMA will follow the price very closely and just smooth out any spikes. An SMA 40 is a much more smoothed average which will cross the period 6 at various points when movements start taking place. The ADX is a check that we are indeed in a trend and not in a ranging (sideways) market. When ADX registers a trend (over 50), and our SMA(40) down-crosses the SMA(6) we can buy as the trend is now moving up. When ADX registers a trend and our SMA (40) up-crosses the SMA(6) we can sell as the trend is now moving down. Here is what this looks like on TradingView, orange in the bottom is the ADX, the green line is the SMA(6) and the blue line is the SMA(40). You can see where you would most likely want to do your trades and lo and behold, we have some line crossings at or near those exact places. Seems kind of complicated? Not when you are working in bowhead. The main thing is we need to get the data off the stack for checking previous and current values, that way you can tell when a moving average has crossed another moving average. Okay, so I provided this as the following file, ADX will spit out errors (-9) without at least 21 data points, so keep that in mind. Now you can find strategies and quickly build your own scripts to trade cryptocurrencies via technical indicators and candle patterns. The sky is the limit. Because this is within the Laravel framework, you can create web pages to manage your automated trading, easily create strategies using web-based tools. You can use the queues and jobs system to have strategy ‘workers’ (I will be adding this as I update it), broadcasts, and so on. Now to talk about risk. I would like to point out that there is SUBSTANTIAL risk involved in cryptocurrency trading and you need to make sure you are in demo mode when testing and working out your strategies. This is of paramount importance as I would hate to hear of someone who lost any amount of money because of this. I am personally fairly risk tolerant and sometimes it pays off. I use Bowhead to do WC ‘Turbo’ trading (which is Forex Binary options), these are a ‘guess’ if the price will be up or be down in 1 minute and 5 minute contracts. If you guess right then win up to 75% return, if you guess wrong then you lose your entire bet. There are some Forex strategies specifically for Turbo trading that I have had some good luck with. However, be aware that most require you are in a trending market. So an indicator like ADX on a longer period is not a bad choice. Here is an example of one strategy that was working. Part 2 will go over making your bot talk to all the exchanges and even attempt to discern price discrepancies, building real-time GDAX straddle-bot using about five Forex strategies and even setting up Bowhead as an API. If you notice any errors here or have any issues with the code, please let me know, make a comment here or open an issue in the Github repository and I will address it. — Keep in mind that this project is under active development.